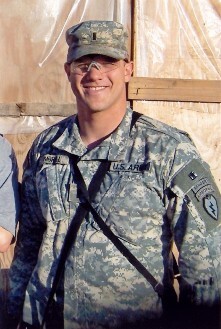 Colby’s life was tragically cut short in May 2007 while he was serving in Iraq as a member of the 1st Battalion, 501st Parachute Infantry Regiment. He was a born leader, scholar, patriot, and friend. While Colby is sorely missed, he has inspired us with a life well-lived and dedicated to serving others. All proceeds from this event will go to the Colby Umbrell Memorial Fund, which supports local student scholarships and other charities. Some past recipients include: Bronze Star Football, Baseball and Military Scholarships, Central Bucks Special Olympics Swim Program, Doylestown American Legion and VFW, American Cancer Society, Coatesville Veterans Center, and the Dover AFB Fisher House Project.